Our industrial coatings are engineered specifically for their protective and functional properties and are used for corrosion control of concrete and steel and other industrial substrates. Industrial coating formulas and application methods vary widely depending on the structure and the protection needed. Our commercial coatings and accessories are suitable for a wide variety of applications. Low LOV options are also available. Increasing the Lifetime of your Assets: Industrial coatings can help to increase the lifetime of materials, which reduces replacement costs. 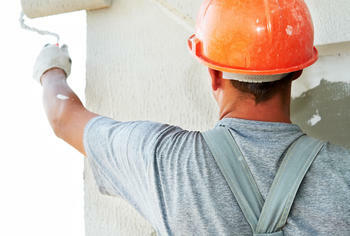 The application method used depends on the type of coating selected as well as the structure to be coated. The most common methods of application for industrial coatings are brushes, paint rollers or sprayers. More complicated methods include electro coating, autophoretic application or spinning. Source Atlantic can help! 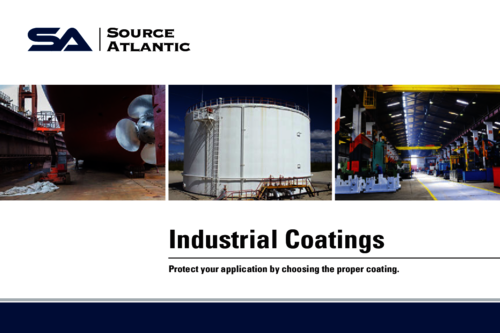 Source Atlantic offers comprehensive specially-formulated coatings for every application. For long-lasting durability, excellent coverage and ease of application, the Source Atlantic team will work with you to identify exactly what you need. We offer a variety of products to help you choose coatings based on the level of corrosion protection required for the job. With our diverse line of different formulas, you can get the options you want and the extreme environment protection you need. Low VOC’s (ppm) can be an issue: ask our specialists to help you find the right product for the job! 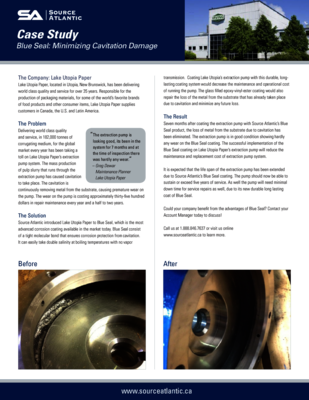 Marine environments are one of the most corrosion-prone environments that we deal with today. Source Atlantic can offer you long-term solutions to protect hulls, decks, portable water tanks and other marine infrastructures. We offer coating solutions for: steel, aluminum, stainless steel and fiberglass substrates. 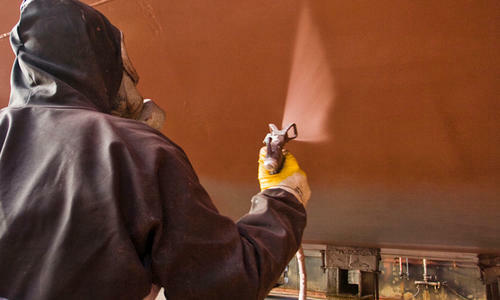 Blue Seal marine coating sprays and application equipment will decrease your dry dock time and have you back in the water as quickly as possible. Heavy duty coatings provide your surface the strength it needs to stand up to extreme pressure and heavy use. Choosing a light duty coating for a heavy duty job will result in more frequent applications. Let our technical specialists help you find the right product for your application. 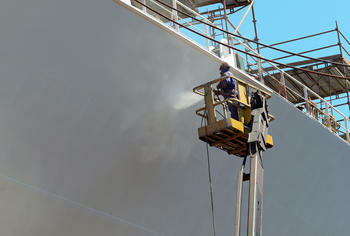 Light duty coatings, such as acrylics, alkyds, waterborne and HD block fillers, are durable and applicator friendly. These products are ideal for use in less-demanding industrial and commercial environments. 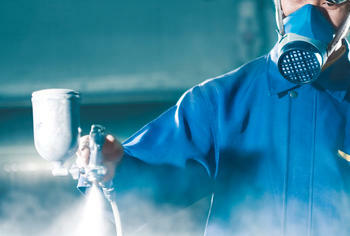 Spray paints, coatings and sealants are popular ‘quick fix’ tactics. 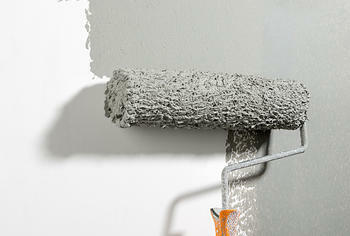 Sprays can reach areas that brushes often struggle with and have a faster dry time than average paint. We offer the most durable and available sprays and sealants, including: rust protectors, stripping paints, aerosols, coloured indoor and outdoor paints, marketing paints, mastics and adhesives. 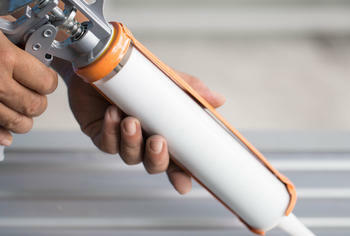 Sealants (caulks) are used to prevent the passage of liquid or gas, and to provide flexibility for long-lasting, durable results. Source Atlantic offers a wide range of high-performance sealants uniquely designed for specific environments and surfaces, including but not limited to: roofing/gutter applications, indoor/outdoor weather sealing, and chemical storage tanks. Source Atlantic offers a variety of coating application accessories such as abrasives, paint trays, rollers and brushes, tapes and safety supplies. Our Blue Seal-certified technicians work with you to manage your coating project – from selecting the right coating for the job, to providing the equipment and supplies required to do the job. We’ll travel to your location, and even clean up after we’re done.